The grapes for this wine were grown on our sustainably certified vineyard at the very low cropping rate of 3.3 tonnes per hectare. Fastidious shoot thinning, bunch thinning and hand leaf removal ensured that the berries had optimum exposure to the sun. The perfectly ripe bunches were picked by hand on 4th April 2012. In the winery the grapes were carefully destemmed and left cold to soak for 7 days before a natural fermentation started. Warm fermentation on the skins, in small fermenters, with careful cap plunging by hand, enabled us to extract optimum varietal colour and flavour. 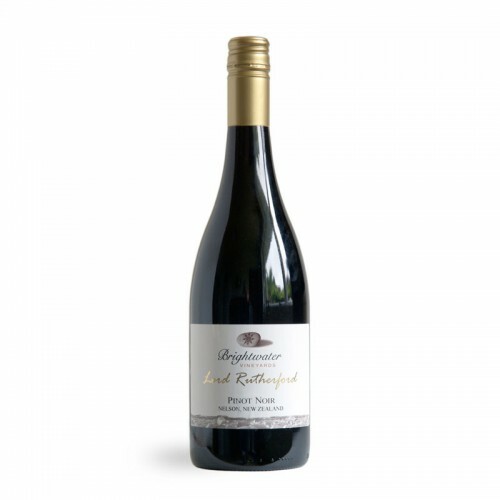 The wine was aged in French oak barriques for 16 months prior to bottling in order to allow full integration between the ripe fruit flavours, tannins and oak, thus creating this elegant, softly textured Pinot Noir. Bold and brooding, yet it’s refined and elegant at the same time with complex aromas of dark cherry, game, truffle and walnut. The palate is ripe and finely textured showing excellent mid palate weight, backed by fine, chalky tannins.